While J. R. Backlund�s heart resides in North Carolina, where he was born, his parents transplanted him to the Sunshine State before he was old enough to put up a fight. 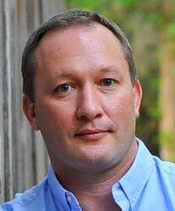 Prior to writing his first novel, he studied journalism at the University of Florida, then took a thirteen-year detour in construction management before getting back to telling stories. He lives in Jacksonville with his wife and their three furry children�they don�t like it when he calls them dogs.